The Grant Billet Edition Steering Wheel Kit features premium full leather wrapped material with hand stitching to give your wheel that premium look and feel. 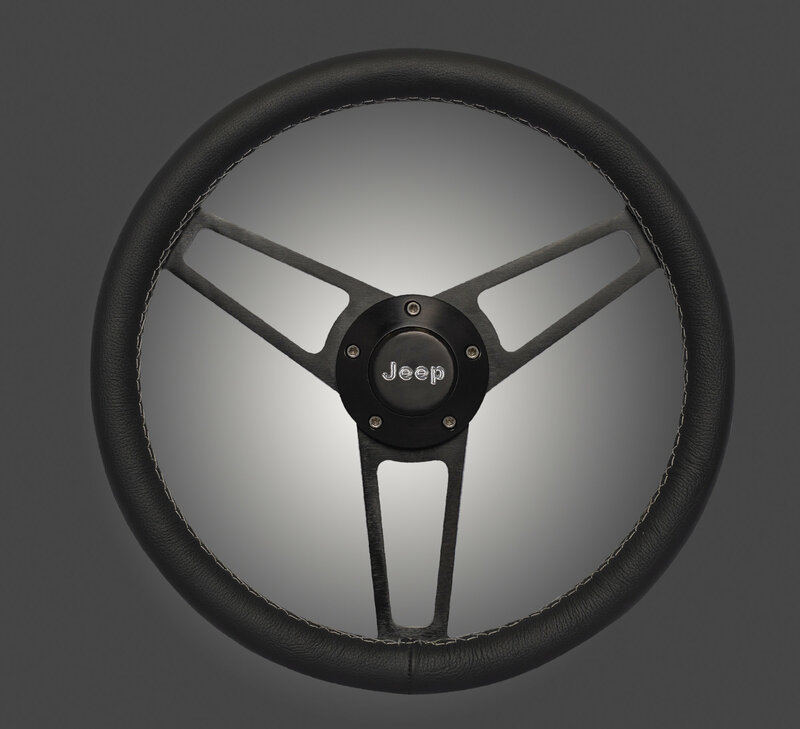 The 3 spoke design is made of Black Anodized billet aluminum and comes with the Jeep logo horn button and trim ring. The Grant Billet Steering wheel is machined from a solid piece of aluminum with precise CNC equipment, for intricate details and unmatched quality and attention to detail. This kit includes an installation kit, which makes sure for an easy no hassle installation.